The North American Securities Administrators Association (NASAA) announced that regulators across the region are overseeing more than 200 active investigations on Initial Coin Offerings (ICOs) and cryptocurrency-related investment products as part of the ongoing initiative Operation Cryptosweep. As of recently, the co-ordinated efforts of North American regulators have already resulted in 46 enforcement actions. NASAA president and Securities Commission director Joseph Borg said this indicates state and provincial regulators’ commitment to ensure the rights and safety of investors. “State and provincial securities regulators are committing significant regulatory resources to protect investors from financial harm involving fraudulent ICOs and cryptocurrency-related investment products and they also are raising awareness among industry participants of their regulatory responsibilities,” he said. It is important to note that not all active investigations involve fraud. Borg said other violations including failure to properly register a product before offering to investors are properly screened by regulators. 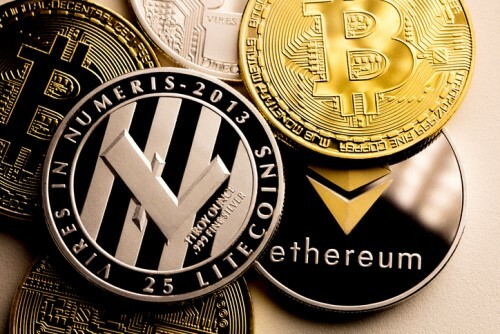 “While not every ICO or cryptocurrency-related investment is a fraud, it is important for individuals and firms selling these products to be mindful that they are not doing so in a vacuum; state and provincial laws or regulations may apply, especially securities laws. Sponsors of these products should seek the advice of knowledgeable legal counsel to ensure they do not run afoul of the law,” Borg said, adding that a strong culture of compliance should be in place for these issuers. Borg explained that products should be registered with appropriate regulatory agencies. Otherwise, they should qualify for an exemption from registration. It is a must for products to undergo the process as such would subject offerings to regulatory review. He stressed that investors also have a role to play in protecting themselves from fraudulent investment schemes. His advice? Always be diligent in investing in any ICO or cryptocurrency-related product. “Be cautious when dealing with promoters who claim their ICO offering is exempt from securities registration but do not ask about your income, net worth or level of investing sophistication,” Bor said.